Image captionSher Mohammad Abbas Stanikzai: "Peace is more difficult than war"
The Taliban official who has led the group's peace negotiations with the US has told the BBC the insurgents do not want to seize "the whole country by [military] power". "It will not bring peace to Afghanistan," Sher Mohammad Abbas Stanikzai said. However, he said the group would not agree to a ceasefire until foreign forces were withdrawn from Afghanistan. UN data shows that the Taliban are responsible for more civilian casualties than any other warring party. Taliban threaten 70% of Afghanistan, BBC findsWhy Afghanistan is more dangerous than everWho are the Taliban? 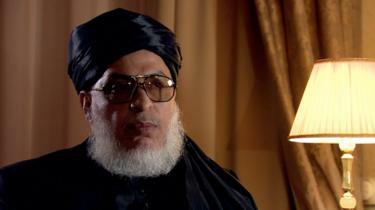 Mr Stanikzai, who until recently was the head of the Taliban's political office in Qatar and remains a leading figure in the group, spoke to the BBC while attending a meeting in Moscow with a number of senior Afghan opposition politicians. He said the Taliban's experiences in power in the 1990s, when it faced armed opposition from rival Afghan groups, had led the group to conclude it was preferable to reach a solution by "coming to the table". "Peace is more difficult than war," Mr Stanikzai added, alluding to the difficulties in reaching a settlement. But he expressed hopes that the conflict could be brought to an end. Mr Stanikzai has overseen a series of meetings with the US Special Envoy for Afghanistan Reconciliation, Zalmay Khalilzad, in recent months. In January, they reached what Mr Khalilzad termed as a "draft framework" of an agreement. It was based on a commitment to withdraw US forces from the country, and a guarantee by the Taliban not to allow international jihadist groups to use Afghanistan as a base in the future. Both sides have indicated that a number of issues still need to be resolved. 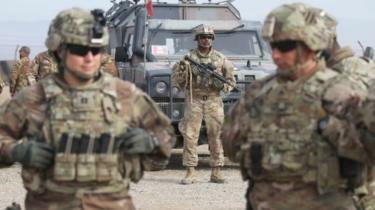 However US President Donald Trump has made clear his desire to bring an end to the 17-year conflict and withdraw at least the vast bulk of American forces. Mr Stanikzai told the BBC he believed the Trump administration wanted to "bring peace to Afghanistan." The meeting in Moscow is separate from the US-Taliban peace talks. Topics of discussions included how the country could be governed in the future, if the Taliban were to become a mainstream political force. Mr Stanikzai addressed the meeting in a hotel in Moscow, saying the group did not want "a monopoly of power" - but that Afghanistan's constitution had been "imported from the West" and was an "obstacle to peace". The Taliban governed Afghanistan in 1996-2001 with an ultra-conservative and often brutal interpretation of Islamic law. The group was notorious for its treatment of women, banning most of them to work or go to school. However, Mr Stanikzai said "women should not worry" about the prospect of increasing Taliban influence as they would seek to grant women all their "rights according to Islamic rule and Afghan culture". Fawzia Koofi, an Afghan MP and one of only two women present at the Moscow meeting, told the BBC: "It's a positive step that the Taliban who were using bullets against the people of Afghanistan, especially women, are now using microphone and listening to women's voices." She said a Taliban member had told her a woman should not be able to become president but could serve in political office. "We need to make sure everything they say here, they mean it," Ms Koofi added. The Afghan government were not part of the talks in Moscow. President Ashraf Ghani has repeatedly called on the Taliban to begin direct negotiations with his representatives, but so far the group has refused, dismissing them as puppets of the US. US negotiators have tried to persuade the Taliban to meet Afghan officials, but Mr Stanikzai remained vague when questioned about the circumstances under which they would ever agree to do so. He said that "when the American forces announce the withdrawal of their troops" there could be further "intra-Afghan dialogue". It could include representatives of the current Afghan government, alongside others, to "select or elect a future government". Officials in Kabul have suggested the discussions in Russia are an attempt by political rivals to undermine the Afghan government, and explore a potential deal with the Taliban without their input. Speaking to Afghan TV channel TOLOnews, President Ghani said: "Those who have gathered in Moscow have no executive authority. They can say what they want." How does the Taliban make money? 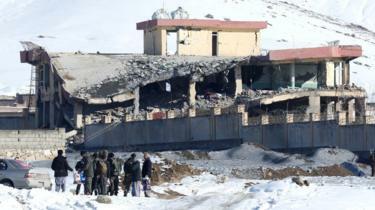 On Tuesday, Taliban forces reportedly killed dozens of members of the Afghan security forces in a series of attacks in the north of the country.